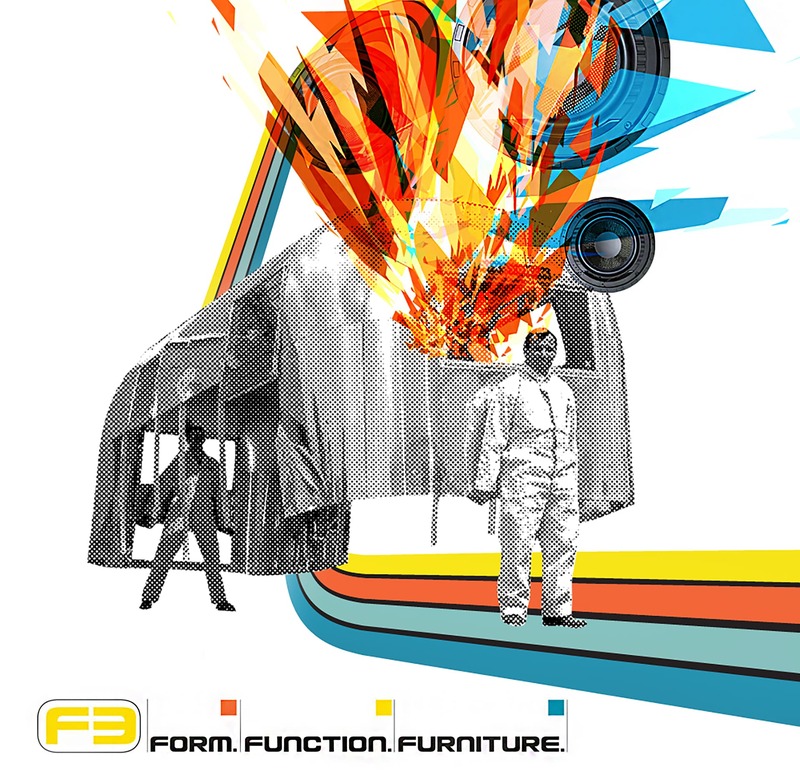 The F3 Foundation, established with the goal of bringing furniture design back to the hands of interior designers and architects. 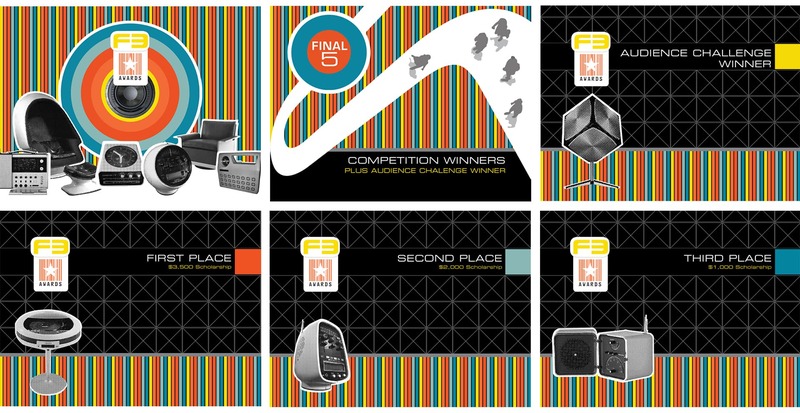 The F3 Design Awards celebrated this process with a competition and 2 events, The Launch Party and The Final 5. 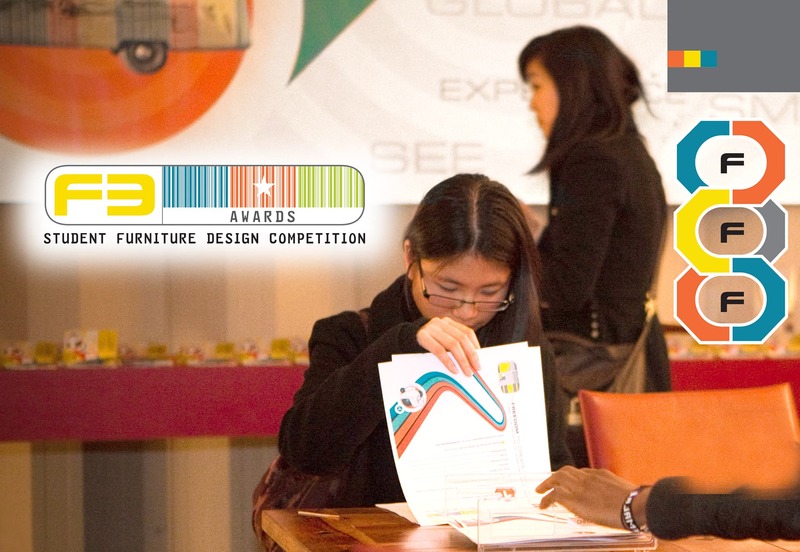 The overwhelming response brought students from design programs throughout Southern California out to compete. Utilizing the iconic Airstream trailer as a footprint, the challenge was to conceptualize the interior and exterior design of a Music Utility Vehicle (MUV), a pop-up mobile music store used to promote recording artists. 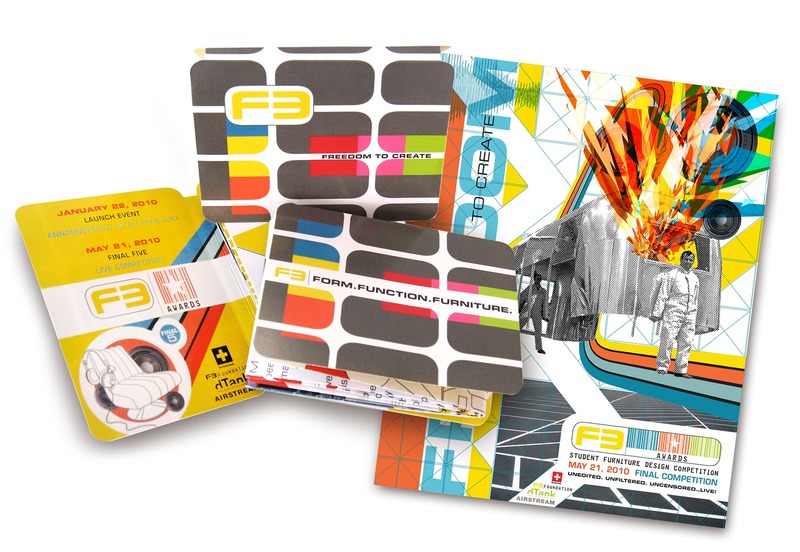 The branding for the event was defined by an adaptable graphic language inspired by movement, bold colors and geometric shapes. 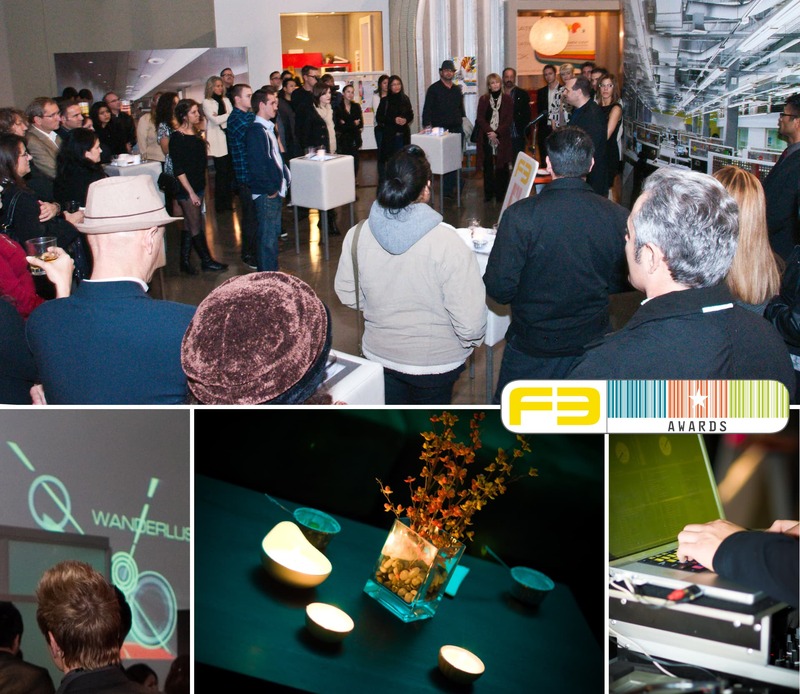 Motion graphics, for background vibe and presentation were created as well as large scale murals, event graphics and even an actual trailer installed on the premises, courtesy of sponsor Airstream.